Beatles fans rejoice! The Beatles are releasing a new album, Live at the BBC Volume 2. But wait, didn't they break up like 43 years ago? And aren't two of the band members dead? (Three, if you believe in that whole Paul McCartney is dead theory.) So how can they still be releasing music? Well, it's a conspiracy not unlike the "Paul is Dead" one. In order to keep making money, every few years, whoever owns the Beatles music tries to put their name back into the media to drum up a few million more bucks. 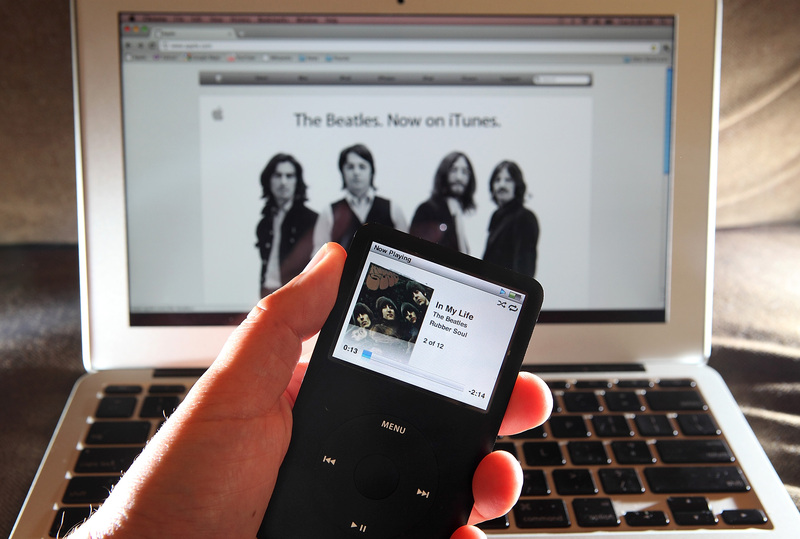 In 2010 iTunes was getting the whole Beatles catalog. So if you didn't already own the music on CD, or know any other human being who could give it to you, you could fork some money over to Steve Jobs for the digital versions. This summer, Ringo Starr released tons of never-before-seen Beatles pics available to you as long as you already owned an iPad and purchased his ebook "Photograph." Though he claimed to have lost his Beatles photographs in 2012, they seemed to pop up just in time for this nice little book deal. And now Live at the BBC Volume 2, featuring 37 never-before-released songs, and 23 tracks of studio talk and banter, will be available for purchase November 11. The first Live at the BBC album came out in 1994 (another one of those attempts to market the Beatles for the nth time) and featured performances originally played on the radio show BBC Light Programme from 1963-1965. The second volume boasts "the sound of the Beatles seizing their moment to play for the nation" with none of the new tracks overlapping with the previous BBC album. I am looking forward to the studio banter tracks though, and in the end, that'll probably be what draws me to buy the album. As a Beatles fan, I'm a sucker for those moments outside of the music where John Lennon and Paul McCartney bicker and George Harrison says things in his funny accent and Ringo Starr says nothing because he's Ringo. I'm probably the exact sucker the Beatles PR team markets to, but at least I know what they're trying to do, right? What do you think, will you buy the new album? And just for kicks and giggles, here's the live version of the Beatles performing (irony intended) "Can't Buy Me Love".